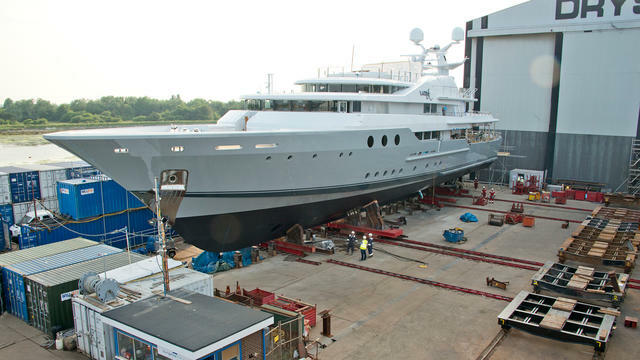 Burgess Marine has relaunched the 55.17 metre superyacht, Lady A, following a ten-month refit at its Portchester facility. The Jon Bannenberg-designed yacht was first launched in 1986 and is widely believed to be the property of Lord Sugar, although the refit yard did not confirm this. 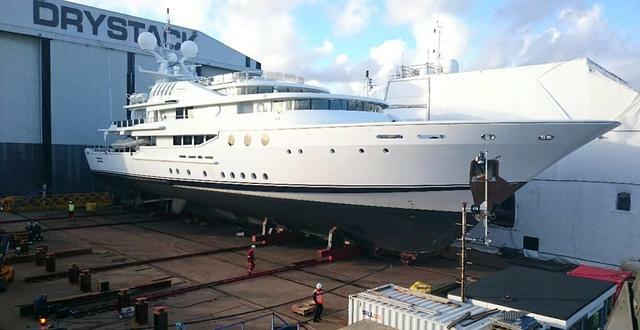 Burgess Marine described the refit as an "outstanding success" and added the the yacht will complete her commissioning in Southampton before heading to the Mediterranean for the summer season. Previously known as Southern Cross, she was built by in Japan by Nishii Zosen-Sterling. With sweeping aft deck-stairs and gill-like upper deck windows, she’s one of the most distinctive yachts afloat. The UK-flagged Lady A is a displacement yacht with a GRP hull and aluminium and GRP superstructure, topped with teak decks. Her accommodations are roomy thanks to her 11.8 metre beam, and she welcomes 12 guests in a master stateroom, four doubles and one twin guest cabin. Powered by twin Caterpillar engines, she has a top speed of 16 knots and a range of 2,500 nautical miles at 13 knots. Burgess Marine announced in September 2015 that it planned to undertake minor structural, mechanical and electrical modifications, install new Naiad stabilisers, spruce up the interior and exterior styling and give the exterior a new paint scheme. Naval architecture consulting will come from Houlder. The refit of Lady A was managed by the owner’s team, while Burgess Marine served as the primary contractor along with Shemara Refit. Burgess Marine helped restore the 65 metre classic motor yacht Shemarato her former glory, and she was relaunched at the facility in 2014.